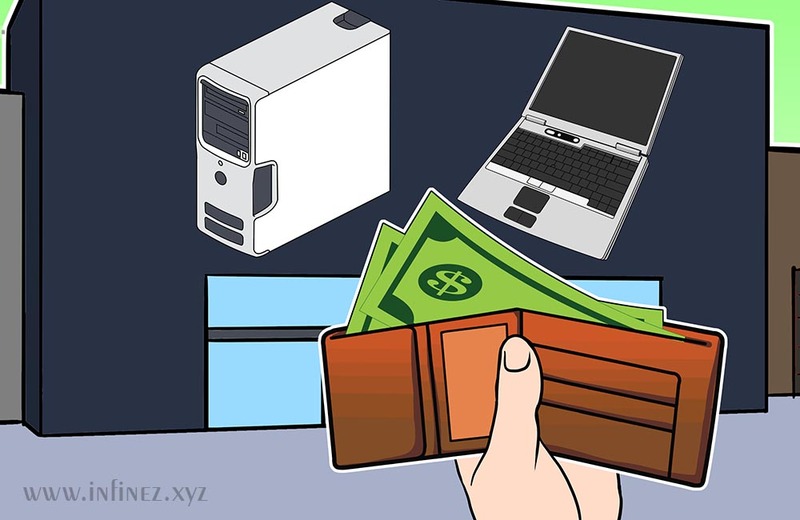 InfinEZ - 6 Tips Before You Buy a New Computer | It isn't fair, but buying a computer is just plain easier for some than it is for others. Those who've purchased and used a computer in the past already have an idea of what they need in a new computer. But those who are new to the computer world could get lost in the myriad of choices available. The short answer to "What should I buy?" is "The best." Of course that answer is extremely subjective because "the best" to one person is certainly different to another. Our definition of "the best" is the fastest and the biggest, but even that leaves the computer newbie confused. Here's a quick rundown of what the computer novice should do and why. 1. Buy a computer that includes basic peripherals. Every computer can be broken down into four major components: CPU unit, monitor, keyboard, and mouse. For the novice, it's best to buy a computer that has all of these components included so that when it's taken home, assembling the computer is a simple matter of plugging things in where they belong. Save the individual purchases of these components for those who have more experience. 2. Decide what you'll use the computer for. If you want to use your computer for cruising the web, sending email, or performing simple word-processing or spreadsheet tasks, a computer with the basic components that we just described should suffice. If you want to use a computer to help with a career in multimedia however, you're going to need to accessorize your system with a scanner, printer, digital camera, tablet, or digicam for example. If you want a computer to help with a career in music, you will need a quality microphone and set of speakers. 4. Start comparison shopping and look for the "fastest and biggest." By "fastest and biggest," we mean the computer with the fastest processor, the fastest modem, the biggest memory, and the biggest hard drive capacity. Even if you think that you'll never need the amount of speed or space available on the market today, it's important to have in the event that you truly do need that much in the future. Having such a large reserve will cut down on costs when the time comes to upgrade for more than what you may settle for in a computer that offers less. 0 Response to "6 Tips Before You Buy a New Computer"